$8 billion for the year according to research firm Futuresource Consulting. 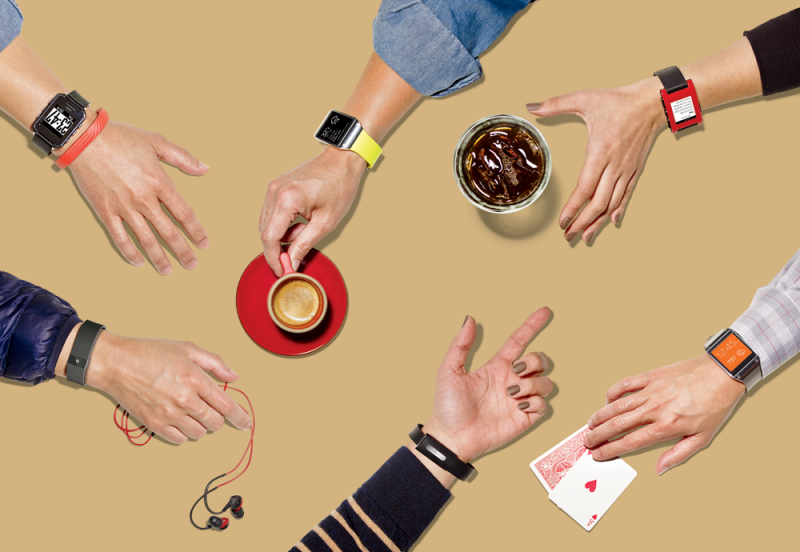 One of the main drivers of this growth: smartwatches. The futuristic, high tech gadgets that used to only appear during the action scenes of a James Bond movie have now become widely available for gadget guru’s around the world. In fact, it feels like news of a new and improved smartwatch makes the headlines weekly, making it hard to choose which device is right for you. We’ve rounded up the top three smartwatches on the market now to help make sense of all your options. By far the most popular smartwatch on the market now, Pebble has made quite an impression on early adopters, generating a quarter of a million pre orders from its Kickstarter campaign alone back in July. The watch costs $150 and comes with all the bells and whistles with a full suite of apps including fitness trackers, music control, email/SMS notifications, caller ID and more. The e-paper display provides a crisp picture even in harsh light without creating a glare and has a backlight for easy display at night. 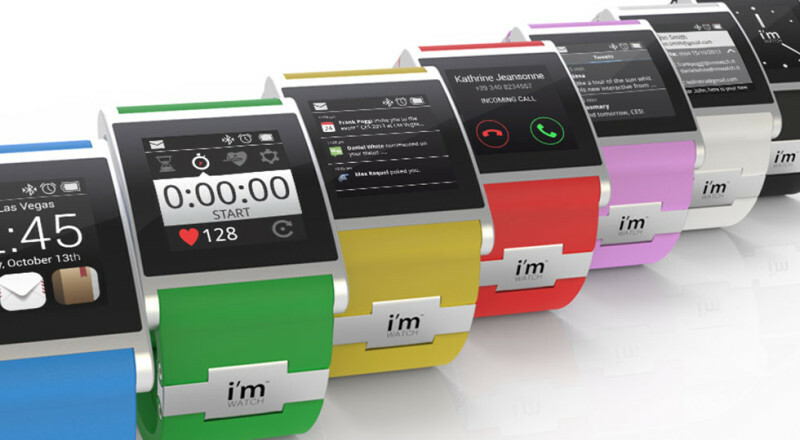 The device is water resistant and comes with a customizable face available in 5 colors. Pebble connects wirelessly to your smartphone via Bluetooth capability and is compatible with both iPhone and Android devices. $150. 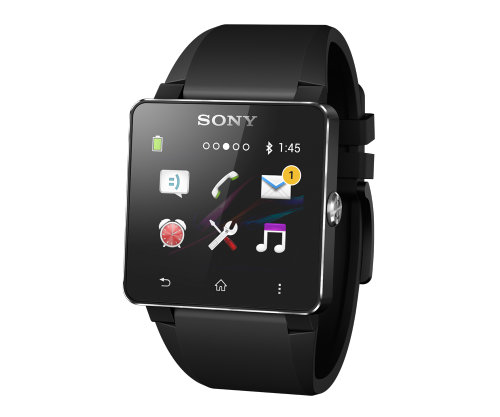 Sony’s smartwatch has been touted by industry insiders for its thin, sleek design and light weight. At just 4 ounces and a 1.6 x 1.6 inch face, it’s hardly even noticeable. This smartwatch is fully integrated with Facebook and Twitter and gives Android users access to loads of apps for fitness, music, weather and more. The SmartWatch 2 wirelessly syncs with your smartphone, allowing you to discretely get meeting alerts, emails and texts during meetings or on the go with a vibration notification system. You can also answer and screen incoming calls even if your hands are full. $199. This Italian made smartwatch by I’m Smart sits at the intersection of fashion and technology. With over 7 colors to choose from, plus a Jewel Collection complete with varying colors of silver and gold finishes, the I’m Watch makes a stylish statement, while still being functional. As with most smartwatches on the market today, I’m Watch let’s you make and receive calls handsfree right from your wrist. It’s equipped to wirelessly control music, run fitness apps, send and screen emails, texts and calendar notifications and is fully integrated with Facebook, Twitter and Instagram. $349.